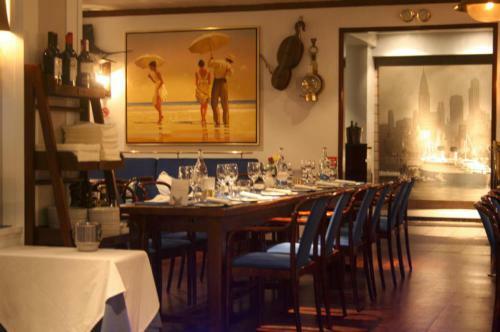 There are many restaurants in Vilamoura with menus to make your mouth water, but Akvavit Restaurant is certainly one of the best go-to places for a memorable dining experience. A spacious semi-indoor restaurant overlooking Marina’s harbour, Akvavit Restaurant is perfect for group meals, romantic dinner dates and family lunch-outs. With cosy interior design and very clean facilities, Akvavit Restaurant offers a warm atmosphere for guests. If this is your first time in the restaurant, you will have the best experience if you will get an outdoor table and sit closest to the Marina bay. The place offers a spectacular view of Portugal’s finest beach, letting you snuffle through the breeze and delight in refreshing scenery of ebbing waves and blue horizons. But you will have an equally lovely experience inside the restaurant. Akvavit has an impressive indoor setup, having sufficient space between chairs and tables. 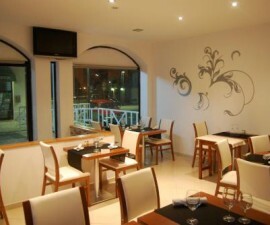 The restaurant also has low lighting perfect for romantic dinners or coffee breaks. 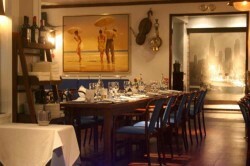 Akvavit Restaurant is Vilamoura’s celebrated home for Swedish cuisines. 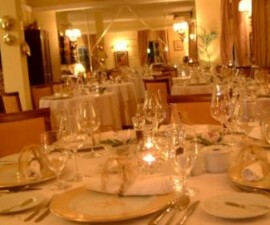 Guests will find it hard to choose an order as all the offerings in the menu sound palatable, and are indeed palatable. Enjoy homemade hamburger topped with tomatoes, onions and bacon, lamb rack with crusted mustard or filet steak with foie gras, potatoes au gratin and hollandaise sauce. 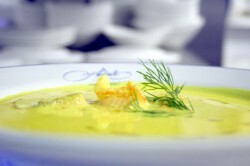 Aside from sumptuous Swedish meals, you will also enjoy classic cuisines of Algarve, Portugal. Among the savoury Portuguese dishes to choose from are classic chicken, pork and lamb dishes, as well as seafood plates. While enjoying the view of the Marina, you should try Akvavit’s clams in garlic and coriander, “cataplana” and “caldeirada”, and classic creamy duck rice. Known as “The Captain’s Bar,” Akvavit offers refined wines and liquors as well. There are also good pastries, including chocolate cake with whipped cream, créme brulée, and fruit parfait, for people who have a sweet tooth. Akvavit Restaurant is a top of mind eating place when it comes to customer service. Young, friendly staff are very quick to accommodate orders and requests. When you dine outside and it gets too cold, the staff will even hand you a shawl so you can better enjoy your sumptuous meal. Some staff are also keen in building rapport with visitors, so don’t be surprised if they will recognize you during your second or third visit. When you come cross Vilamoura, Portugal, it would be a very good decision to try Akvavit, the restaurant that will give the best value for your money.